Mahwah is a beautiful township in Bergen County, New Jersey, and its name is derived from the Lenape word meaning “place where paths meet”. This is appropriate as Mahwah has become a popular place for families and professionals to make their home due to its small town feel and easy access to New York City! Formed in 1849 and officially incorporated in 1944, Mahwah was listed as number nine in New Jersey Monthly’s “Best Places to Live” in New Jersey. When it’s time to plan your Mahwah move, Booth Movers is the premier choice for a professional Mahwah moving company in the Bergen County area! Our Mahwah movers have BBB accreditation and ProMover status, showing their commitment to providing the best in quality Mahwah moving services! Wherever life takes you, you can count on Booth Movers to handle your relocation professionally and efficiently! 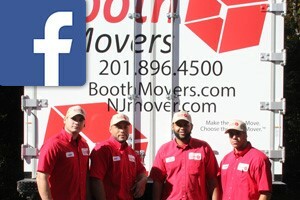 Since the 1940’s, Booth Movers has made it their mission to provide high-quality moving services. Carrying certified memberships with several reputable industry organizations and a proud affiliation with Atlas Van Lines, you can trust that our Mahwah movers have the experience and expertise to handle residential relocations of any size and complexity. For more information on the customizable Mahwah moving services we offer, see the links below! Residential Moving – Regardless of the scope of your residential move, Booth Movers can handle relocations of any size. Household Moving – If you need help planning your household move, there is no better choice than our Mahwah movers! Local Moving – Are you relocating within the Bergen County area? Then give our Mahwah moving company a call for quality moving services! Long-Distance Moving – When it comes to long-distance moving, you need a team of professional Mahwah movers that you can trust to handle all the details. Interstate Moving – To make your relocation to a new state a seamless experience, Booth Movers will guide you through each stage of the moving process. Full-Service Moving – There is no job too big or complex for the experienced professionals at our Mahwah moving company! International Moving – Booth Movers has the global resources to take the stress out of navigating your international move. Commercial Movers - Running a business takes a lot of time and effort. You shouldn’t have to spend time and effort coordinating your move too! Specialized Movers - Moving couches, blankets, and knickknacks is one thing. Moving expensive artwork, electronics, and other sensitive items is quite another. Are you ready to learn more about the exceptional Mahwah moving services that Booth Movers offers? Give us a call today, or fill out our online form to connect with one of our friendly staff members and request your free moving estimate!